On the eve of their silver wedding, a man and a woman are sorting things out, trying to understand how it happened that their life together, which began with so much fun, had become, 25 years later, so unbearable that it’s suitable to say that “… the life was for nothing…” To be exact, this is what the wife tries to understand. The husband, meanwhile, is silently reading his newspaper. 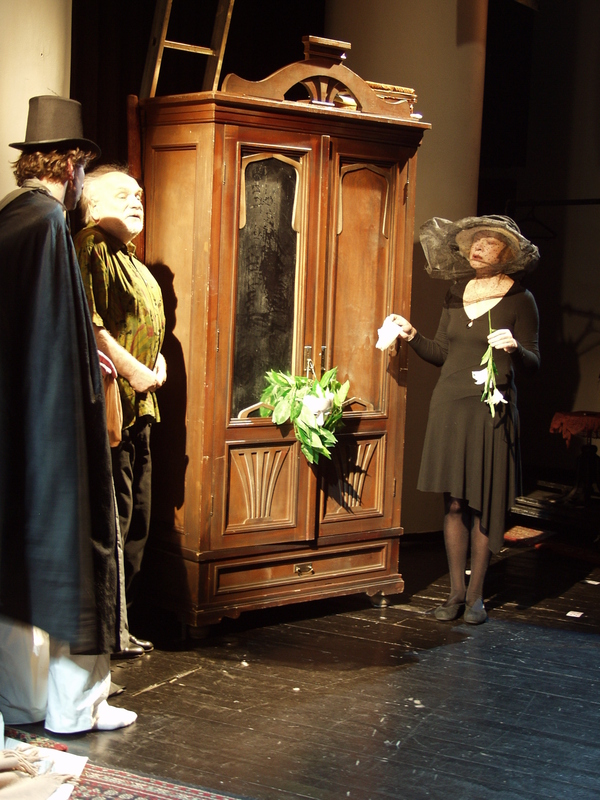 Lyudmila Maskakova tells the story of twenty-five long years in less than 90 minutes. Basically, this miniature production is like a nostalgic sigh: too bad that the life has flown by, and nothing can be restored.